Renovation Day is annually observed in Gabon on March 12. This holiday was established to honor the foundation anniversary of the Gabonese Democratic Party in 1968. The Gabonese Republic is a former French colony. It gained independence from France on August 17, 1960 and became a member of the United Nations. Léon M'ba became the first president of Gabon. 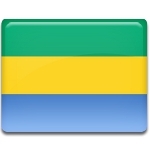 The Gabonese Democratic Party was created on March 12, 1968 headed by Albert-Bernard Bongo. A single-party regime was installed in the country till 1990, when Bongo faced with public pressure to introduce a multi-party political system in Gabon. However, the Gabonese Democratic Party is still the dominant and ruling party in the country. The day of its foundation, Renovation Day, is a public holiday in Gabon. The government officials deliver speeches to praise contributions made by the Gabonese Democratic Party to the development of the country. They are followed by a day-long cultural activities, that include traditional dance and music performances.